All catering at Bethany Homestead is carried out on the premises, in our professional kitchen by our dedicated team of chefs. There are also modern kitchenette facilities on each floor to make drinks and snacks in between main meal times. We take care to recognise the individual dietary needs and preferences of our residents; there is an extensive seasonal menu to choose from each day. Residents have the choice of eating either in one of our two communal dining rooms or in their own room if they prefer. You can download a sample menu here! Costs: The cost if meals are included within the care package for care home residents. 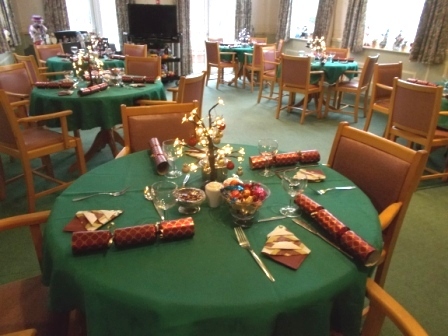 Residents of the sheltered housing, Family and friends are welcome to join us at mealtimes if they wish; there is a small charge per meal, as appropriate. There is a weekly room-to-room 'trolley service', for resident to purchase snacks and essential items such as toiletries. There is a weekly visiting groceries and fresh produce van to purchase supplies.